Golding, 21, has been another of Darren's long-term targets and he joins fellow new boyKieron Pamment in the squad for tomorrow's game with Haringey Borough, with both players hoping to make their home debuts. 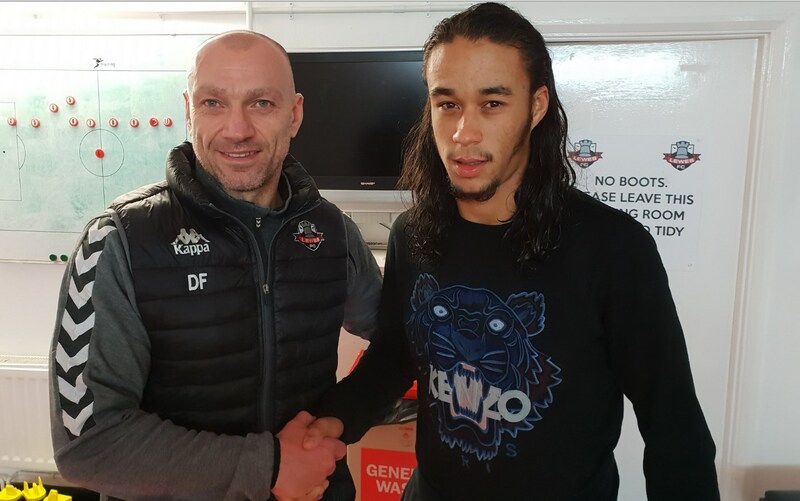 "Kieron and Dayshonne add a bit of flair and quality to our attack, and I hope the fans are looking forward to seeing both players at the Dripping Pan for tomorrow's game," said Darren. Golding has made 15 appearances for Hastings this season, notching four goals in the process. Kieron made his Rooks debut during the defeat to Kingstonian, but was cup-tied for last week's FA Trophy game. In other squad news, loanee Declan Appau has returned to his parent club Woking after a month on loan at Lewes. We'd like to thank Woking for the loan of their player and wish Declan well for his future career.